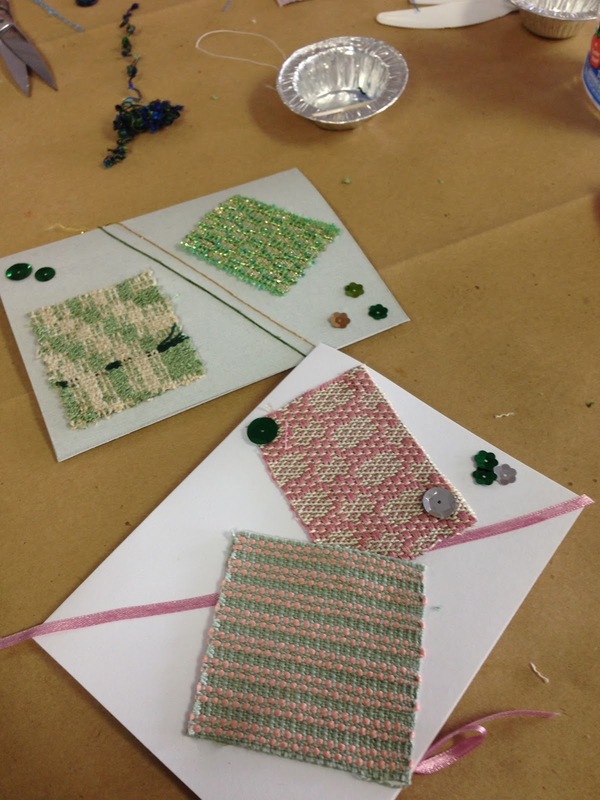 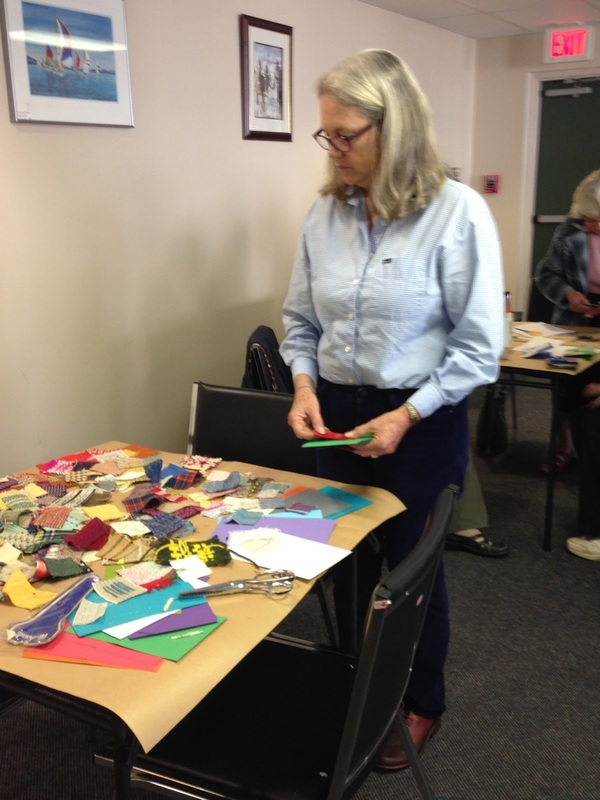 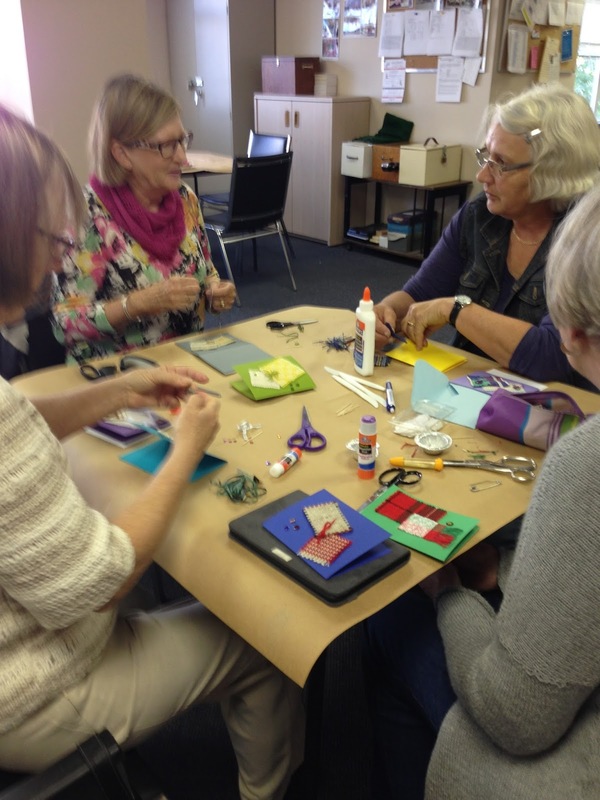 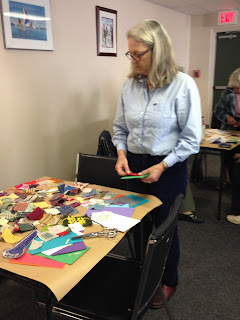 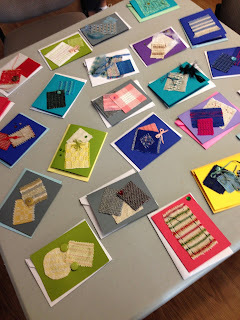 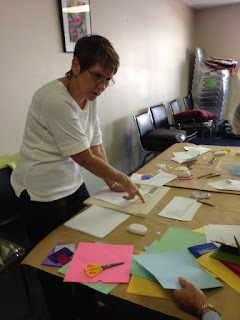 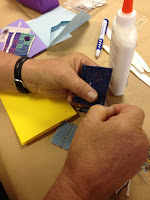 DCWS members were kept busy with a card making project at the September 22nd Guild meeting. 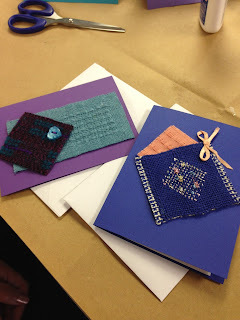 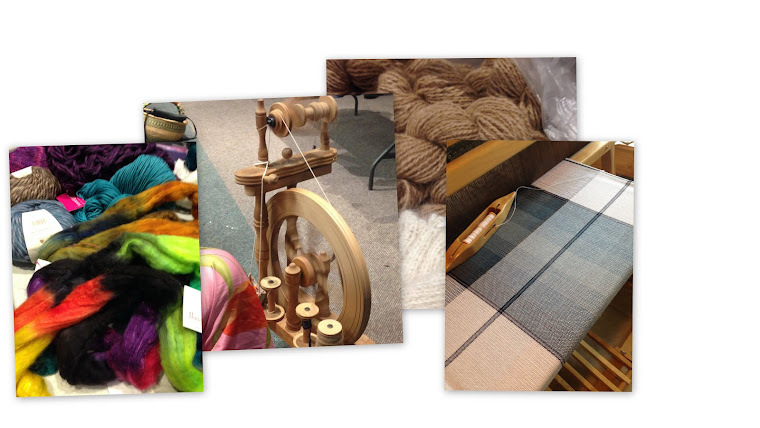 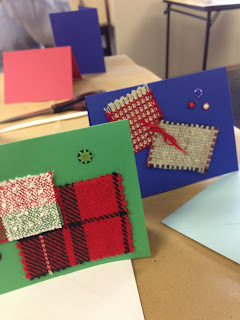 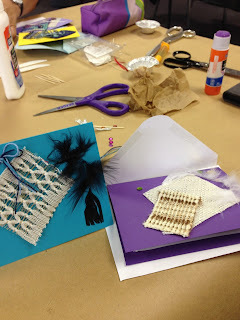 Cards were crafted using bits of weaving samples and embellishments. 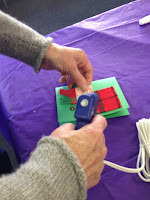 Thanks to Elaine and her sister-in-law Merrilee White for coordinating this fun event. Finished cards will be on display at our Sidney Museum Exhibition in October, after which they will be presented for use by the Guild.